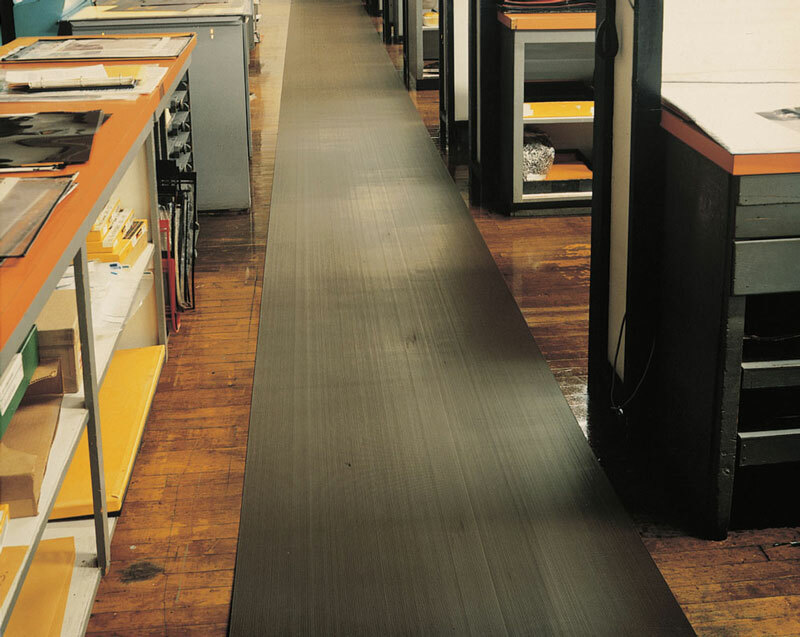 The Corrugated Runner 1/8" Thick is the perfect material to protect your floors, shelving, workstations and more! Made from a resilient PVC compound, this material is resistant to oils and chemicals and also provides traction in slippery wet areas. Also check out our Tuff Foot Floor Protection Matting. 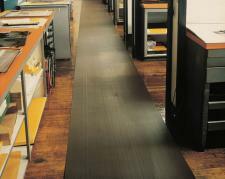 The Corrugated Vinyl Runner from Rhino offers a deep V-groove liner pattern that helps for non slip applications. Also doubles as a floor protection mat. Easy maintenance simply sweep or hose off. At 1/8″ thick cart traffic rolls easily over the matting and helps prevent tripping hazards. Please call 1-800-810-7847 or email service@commercialmatsandrubber.com for custom cut pricing!